Kurdish fighters sought to consolidate their control of an oil-producing region in northeastern Syria after seizing a border crossing with Iraq from opposition armed groups, activists said. Fighters linked to the Kurdistan Workers Party (PKK), which has fought in neighbouring Turkey for decades, were clearing pockets of resistance of the al Qaeda-linked Islamic State of Iraq and the Levant, al-Nusra Front, and Ahrar al-Sham in the border town of Yarubiya, Syrian opposition sources said. Kurdish media published the above video following takeover of the Yarubiya border post on Sunday. UN-Arab League envoy Lakhdar Brahimi flew in to Beirut on Monday on his way to Damascus to try to whip up support for a peace conference on Syria, airport sources said. Brahimi arrived from Tehran, where he said it was "necessary" for Iran, a key ally of the Damascus regime, to take part in an international peace conference aimed at ending Syria's two-and-a-half-year conflict. 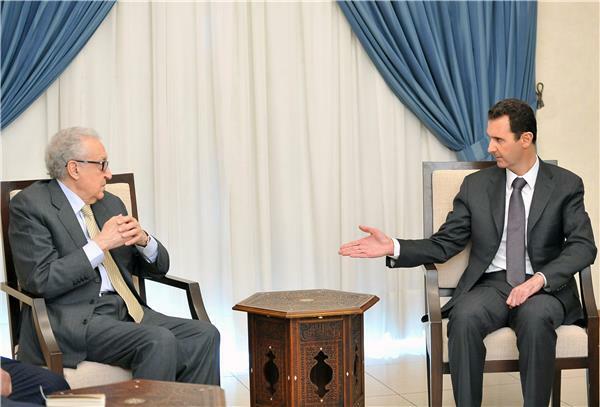 Brahimi was to travel overland to Damascus, making his first visit to Syria since last December. Syria's state media say government forces have retaken a Christian town north of Damascus after a week of clashes with al-Qaeda-linked fighters who had recently captured key parts of it. The state-run SANA news agency says the army "restored security and stability'' to the town of Sadad early on Monday. The town had been in opposition hands since last week, when al-Qaeda-linked groups captured a checkpoint that gave them control of the western part of the town. Al Jazeera's Hoda Abdel-Hamid reports from Beirut on the visit of the UN-Arab League envoy to Damascus. China supports the Organization for the Prohibition of Chemical Weapons (OPCW) to play an role in solving the issue of Syria's chemical weapons, a spokeswoman of the Chinese Ministry of Foreign Affairs said on Monday. "The Syrian government has submitted an initial declaration and destruction plan for its chemical weapons program on time. It is a new progress that we welcome," said Hua Chunying, spokeswoman of the Ministry of Foreign Affairs. "China supports the OPCW to play a positive role in destroying and inspecting Syria's chemical arms. China will participate in the OPCW's inspection and negotiation in order to implement the decisions made by the executive council of the organization," said Hua. Lacking money and material to build new homes, many internally displaced Syrians have to use mud to construct temporary shelters. UN-Arab League envoy Lakhdar Brahimi, who arrived in Damascus Monday, believes President Bashar al-Assad could contribute to the transition to a "new" Syria, but not as the country's leader. Brahimi, who was in Syria on the latest leg of a regional tour to rally support for peace talks, spoke about Assad in an interview in Paris with the Jeune Afrique website published Monday. Al Jazeera has obtained a copy of the first Organization for the Prohibition of Chemical Weapons (OPCW) progress report on the destruction of Syria's chemical weapons programme. 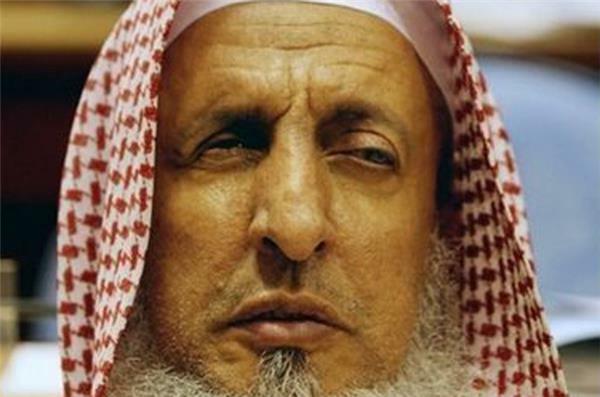 The grand mufti of Saudi Arabia has told young Saudis that they should not go to Syria to fight in the civil war. Read Al Jazeera's story on his statement. The UN-Arab League envoy for Syria has met a senior opposition figure in Damascus as part of a diplomatic push to convince all sides in the country's crisis to attend peace talks in Geneva next month. 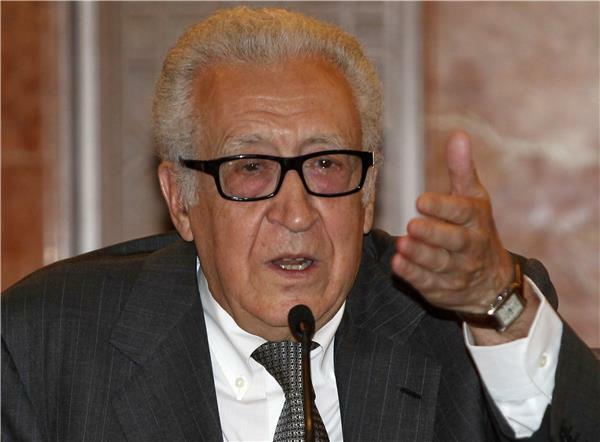 The envoy, Lakhdar Brahimi, held talks with Hassan Abdul-Azim, the head of a Damascus-based opposition group. The group has called for regime change through peaceful means and is not part of the opposition Syrian National Coalition or rebel groups fighting to topple the Syrian president. Abdul-Azim says Brahimi told him the US and Russia are determined to hold the peace conference next month. One of the key sticking points in getting the opposition to agree to the talks is the issue of Assad's future. Abdul-Azim says this is for Syrians to decide among themselves. 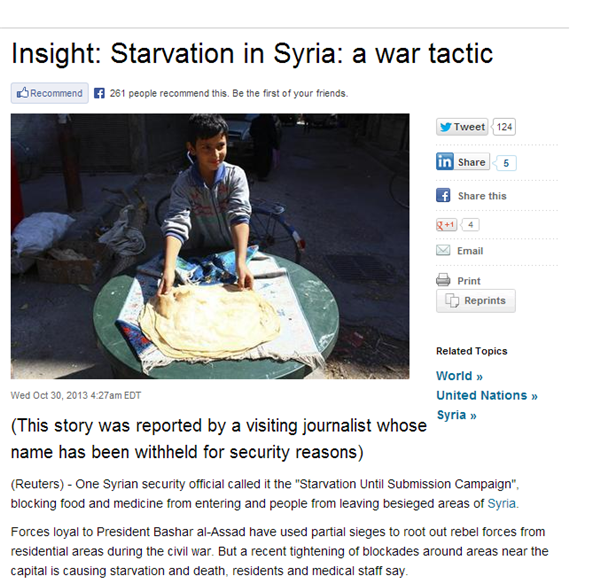 Reuters has published an interesting article about starvation being used as a tactic in Syria. Al Jazeera's Hoda Hamid said the UN special envoy Lakhdar Brahimi at a press conference today in Damascus said that all parties need to head to the Geneva 2 conference in a few weeks time. He didn't blame the opposition but said it would be better if the opposition was less fragmented, particularly between those based in Damascus and overseas such as the Syria National Coalition (SNC), which is recognised by much of the international community. Brahimi said the SNC continues to refuse to attend if there is no mention of the resignation of President Assad. Syria's government newspaper called UN-Arab League envoy "one-eyed and many-tongued" on Saturday, a day after he left Damascus on a trip aimed at building consensus for a peace conference. An editorial in Ath-Thawra also lashed out at Lakhdar Brahimi's efforts to hold the so-called Geneva II between the regime and rebels within weeks, saying he was acting with "unnecessary haste." The veteran Algerian diplomat has said he hoped the conference would be held "in the coming weeks, not next year." But as soon as he left Syria Friday, Damascus accused him of being overly diplomatic. The envoy "has played both sides, as though he wants to please all parties in the same way, forgetting that his role as an international mediator requires him to be neutral," the newspaper said. He has said Geneva II cannot happen without the participation of the opposition. The editorial comes two days after the ruling Baath party mouthpiece had described Brahimi's visit as "positive." Brahimi's renewed bid for peace talks aimed at resolving the 31-month conflict comes after last month's US-Russian accord on dismantling Syria's chemical arsenal. Syria's air force struck Sbeineh south of Damascus on Saturday, as loyalists pressed a fierce bid to crush rebel bastions around the capital, a monitoring group said. 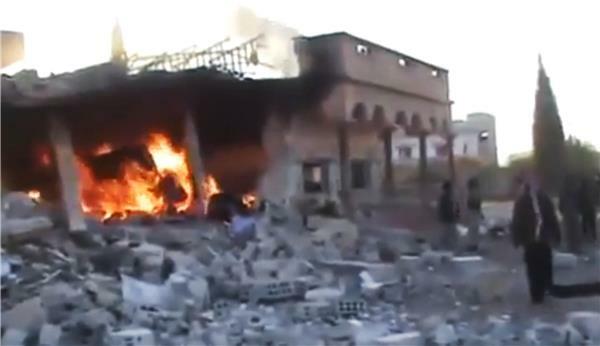 "Warplanes struck areas of Sbeineh... as regime troops shelled the town," said the Syrian Observatory for Human Rights. Rebels on the capital's southern front were battling government troops backed by both pro-regime armed rebels and fighters from the Lebanese Shia movement. 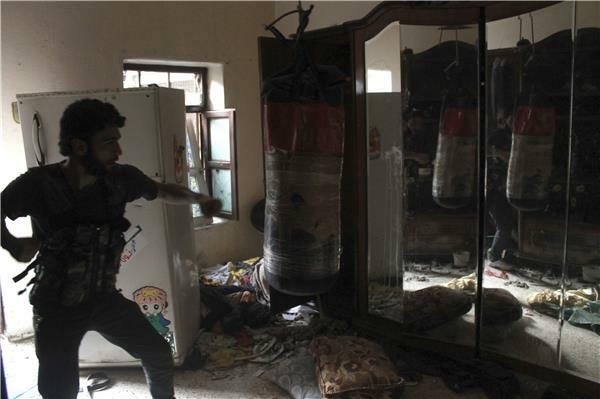 "The strike was part of the regime's offensive against rebel areas in and around southern Damascus," Observatory director Rami Abdel Rahman told AFP. King Abdullah II said on Sunday that the influx of hundreds of thousands of Syrian refugees is depleting Jordan's scarce natural resources, and called for international assistance to deal with the problem. "Jordan currently hosts around 600,000 Syrian refugees - an issue that depletes our already limited resources and puts enormous pressure on our infrastructure," the king said in a speech to parliament. "If the international community does not move quickly to help us shoulder the burdens of the Syrian crisis... Jordan is able to take measures to protect the interests of our people and country," he said without elaborating. Syria could become a "Mediterranean Afghanistan" if the international community does not act to end its civil war, Turkish president Abdullah Gul has warned in an interview published by The Guardian on Sunday. Gul, who was speaking to the British newspaper during a visit to the Scottish capital Edinburgh, called the world's response "very disappointing" and said the UN Security Council's reaction had been a "disgrace". The president warned he would react "in the strongest way possible" if the conflict spilled over his country's 900km border with Syria. Some 200,000 refugees are currently living in camps in Turkey, according to Gul. Gul accused allies of providing insufficient backing for Turkish efforts to negotiate with Assad at the start of the conflict. If he had been able to pursue talks with Assad, Gul believes that "100,000 people may not have died and Syria would not have faced so much destruction." He also suggested that Assad had agreed to a Russia-sponsored plan to destroy his chemical weapons stock in order to strengthen his position. Saudi Foreign Minister Prince Saud al-Faisal said after meeting US Secretary of State John Kerry on Monday that any talks on the Syrian crisis could not go on indefinitely. Prince Saud al-Faisal demanded that Iran leave Syria, saying Tehran was helping President Bashar al-Assad strike his own people. The United Nations estimates that around 9.3 million people in Syria or about 40 percent of the population need humanitarian assistance due to the country's two-and-a-half-year, the UN humanitarian office said on Monday. "The humanitarian situation in Syria continues to deteriorate rapidly and inexorably," UN humanitarian chief Valerie Amos told the UN Security Council behind closed doors, according to her spokeswoman Amanda Pitt. "The number of people we estimate to be in need of humanitarian assistance in Syria has now risen to some 9.3 million," Pitt said, summarizing Amos' remarks to the 15-nation council. "Of them, 6.5 million people are displaced from their homes, within the country." 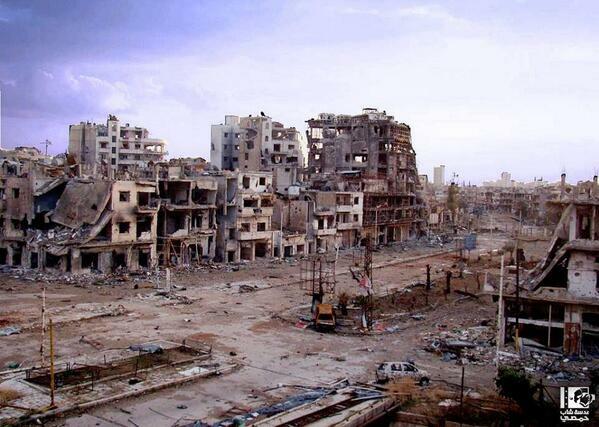 The population of Syria is around 23 million. Six Free Syrian Army (FSA) groups in the Northern countryside of Aleppo have pledged their allegiance to a-l Qaeda arm in Syria Jabhat al-Nusra, according to new reports. Local activists told Al Jazeera that small opposition groups find themselves forced to join bigger and stronger battalions to guarantee protection, especially after the Islamic State of Iraq and the Levant, another al-Qaeda-affiliated group, declared war on several FSA battalions. Syrian Information Minister Omran al-Zoubi said that Saudi Arabia is "responsible for the destruction" of his country. In comments to Syrian state television, carried by SANA news agency, al-Zoubi said that Saudi Foreign Minister Saud al-Faisal is "leading the Saudi policy to failure and eventually to a deadlock". He said "the Saudi aspirations reflect the Israeli policy in the region," according to SANA, adding that Riyadh's diplomacy was doomed to failure regardless of whether the Geneva peace talks take place or not. "We are not going to Geneva to hand power as al-Faisal wishes," al-Zoubi said. A senior Syrian official vowed Monday that authorities would vaccinate the country's children against polio after 10 cases emerged in the northeast, saying the government would work with international organisations to ensure even rebel-held areas were reached. A week earlier, the United Nations health agency confirmed the first outbreak of the disease in the country in 14 years, raising a risk of it spreading throughout the region. The confirmed cases are among babies and toddlers who were "under-immunised," according to the World Health Organisation. "We intend to vaccinate each Syrian child regardless of the area they are present in, whether it is a hotspot or a place where the Syrian Arab Army is present," deputy foreign minister Faisal Mekdad told reporters in Damascus. "We promise that we will give humanitarian organisations the opportunity to reach every Syrian child," he added. Mekdad did not say, however, when the vaccination campaign would begin or how exactly it would reach rebel-held areas. Aid groups have called for cease-fires to allow immunisation campaigns. Syria's warring parties have held truces before to allow civilians to flee and aid to enter some areas. There have been 35 more cases of polio documented by a group belonging to the Syrian coalition and Doctors Without Borders in Deir Zor province in Syria. This is the first time polio outbreak has occurred in Syria since 1999 and there are fears it could continue to spread. Faisal Muqdad, deputy foreign minister on Monday told reporters that one reason for the outbreak was that rebels were "blocking access to basic sanitation services and even to the vaccine." Though the United States has accused Syrian authority of blocking deliveries of humanitarian aid. Valerie Ramos, United Nations aid chief, called on the Security Council to put "sustained pressure" on both Damascus and rebel group to let in desperately needed humanitarian assistance. She said that on top of well over 100,000 war dead, diseases, including feared new cases of polio, are spreading quickly and many people are dying "silently" from cancer and diabetes because of lack of treatment. US fast-food chain Kentucky Fried Chicken has closed the doors of its last remaining branch in Syria due to economic and supply problems, shopkeepers in Damascus told AFP news agency. The branch in the upscale Abu Rummaneh neighbourhood of Damascus is the last of seven KFCs in Syria to have shuttered. "Closed. Please leave your number if you are interested in buying this establishment," a sign posted on the branch's window now reads. KFC was the first US fast-food restaurant to set up shop in Syria in 2006, with Kuwaiti businessman Nasser Khurafi bringing the chain to the country. Unlike other chains, it remained open despite the sanctions imposed against Syria by the United States in response to the regime's crackdown on an uprising that began in March 2011. "The business was facing multiple problems" including in procuring supplies, a local businessman told AFP. The conflict that began with an uprising against President Bashar al-Assad's regime has ravaged Syria's agricultural sector while fighting has made delivery of products to market increasingly difficult. The violence has also caused the value of the Syrian pound to plunge and produced increasing poverty among Syrians, making the cost of a KFC meal beyond the reach of most. Syria's key opposition National Coalition on Wednesday urged UN-Arab League envoy Lakhdar Brahimi to remain neutral, after he cited opposition divisions over new delays to peace talks. The statement comes a day after Brahimi said intensive talks on a mooted peace conference in Geneva had failed to produce a final date for the long-planned discussions. "The Syrian National Coalition confirms that the mission of the joint UN-Arab League envoy - as understood by the Syrian people - is to seek to achieve their legitimate aspirations and lift their suffering, or to remain neutral at the very least," the Coalition said a statement. The statement accused Brahimi of seeking to "blame" the opposition for his failure to convene the conference, urging him to "adhere to neutrality and not stray from what is acceptable in political discourse". The comments come after Brahimi announced that no date had been set for peace talks despite renewed suggestions that a conference could take place in November. Syria's President Bashar al-Assad on Wednesday compared his country's war against rebels, whom he describes as "terrorists", to the conflict that devastated Algeria for an entire decade. "The Algerian people's position on the Syrian conflict is not surprising, considering they had to undergo a challenge that was similar to the Syrian people's, which is currently facing terrorism," Assad said during a visit by an Algerian delegation to Damascus. When an anti-Assad revolt broke out in March 2011, Damascus branded opponents as "terrorists", even before the movement took up arms. Algeria has systematically abstained in Arab League votes that have resulted in decisions to punish the Assad regime. The Algerian civil war in the 1990s killed 200,000 people, according to official figures. It erupted after the army suspended an electoral process when the Islamic Salvation Front (FIS) won the first round of a parliamentary vote in 1991. 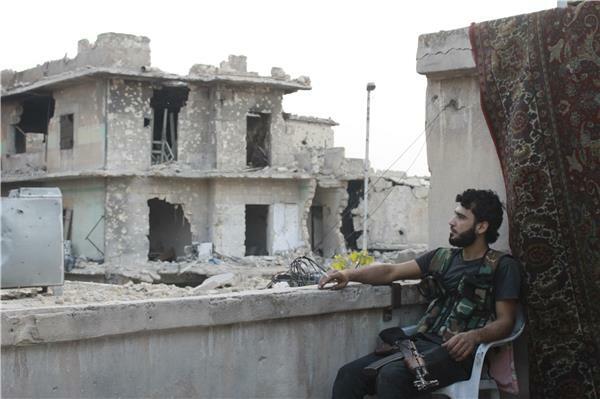 Syrian government forces have opened a new front near Aleppo. The army is trying to break a rebel siege after making rare advances in the country's mostly rebel-held north. 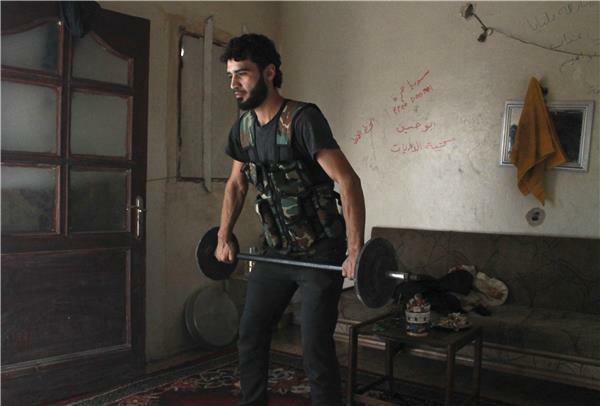 Some rebel commanders are blaming the growing rifts in their ranks for the army's successes. 'All but one' of Syria's chemical sites have been checked, according to the Organisation for the Prohibition of Chemical Weapons. Russia has again said that it is trying to broker talks in Moscow between the Syrian government and the opposition. The Russian Foreign Ministry said on Thursday that representatives of the opposition, who met with Russia's Deputy Foreign Minister Mikhail Bogdanov in Geneva, "responded positively" to the Russian offer to host "informal contacts in Moscow for the entire spectrum of Syria's social and political forces." It did not say when the talks could take place. Bogdanov said on Wednesday after his talks with Syrian opposition leaders that the Moscow talks could focus on humanitarian problems as well as some political issues. A Syrian opposition official, speaking on condition of anonymity because of the sensitivity of the talks, said the opposition National Coalition was sending experts to discuss humanitarian corridors with the Syrian government. Vaccinating only Syrian refugees against polio may not be enough to prevent the crippling viral disease from re-infecting Europe where it has not been seen for decades, German scientists warned on Friday. Writing in The Lancet medical journal, they said the risk to Europe from a re-emergence of polio in Syria was partly due to the type of vaccine generally used in regions that have not had the disease for many years. Polio, caused by a virus transmitted via contaminated food or water, was confirmed among young children in northeast Syria last month - its first appearance there in 14 years. The World Health Organisation (WHO) said the virus probably spread from Pakistan - one of three countries where polio is still endemic - and warned that Syria's outbreak posed a threat to millions of children across the Middle East. Polio passes easily from person to person and can spread rapidly among children, especially in the kind of unsanitary conditions endured by displaced people in Syria or in crowded refugee camps in neighbouring countries. Billionaire financier George Soros is pledging $1 million for humanitarian efforts in war-ravaged Syria. 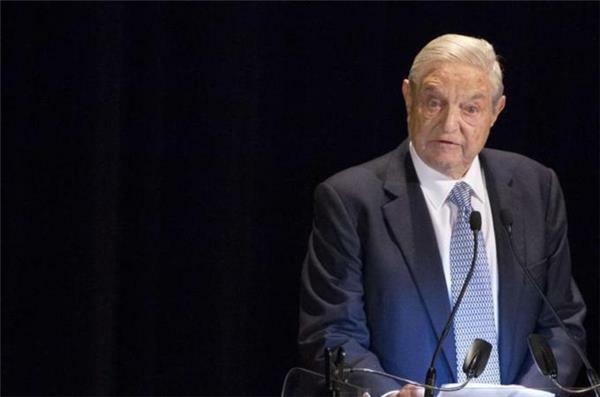 Soros announced the pledge to the International Rescue Committee on Wednesday night after receiving its Freedom Award in recognition of his lifelong support for human rights and an open society. Soros said people are starving and will soon be freezing in Syria as winter arrives and malnutrition among children is increasing. "This situation has arisen because both the government and the rebels use the denial of humanitarian aid as a tool of war,'' Soros said. Clashes erupted between police and demonstrators in southeastern Turkey late on Thursday following a protest against the construction of a wall between Turkey and Syria. Riot police in Cizre deployed tear gas and fired live ammunition into the air in an effort to disperse dozens of demonstrators, who responded by hurling Molotov cocktails and detonating firecrackers to fend off security forces. Earlier, demonstrators in the predominantly Kurdish city of Cizre protested against government plans to build a controversial wall between Turkey and Syria that would straddle parts of the 910-kilometre (565-mile) border. Ankara says the structure is to provide security but detractors say it is a divisive measure intended to separate Kurds in Syria from those in Turkey. Cizre is some 100 kilometres away from the actual construction site which straddles Qamishli in Syria and Nusaybin in Turkey, both heavily populated by Kurds with ties between the two communities dating back decades. Many have families on both sides of the frontier. A mass rally also took place Thursday in Nusaybin where some 5,000 people gathered at the site to demonstrate against the wall. That, too, erupted in clashes. Kurds make up 20 percent of Turkey's nearly 75 million citizens and tensions between the minority group and the government are long-standing. 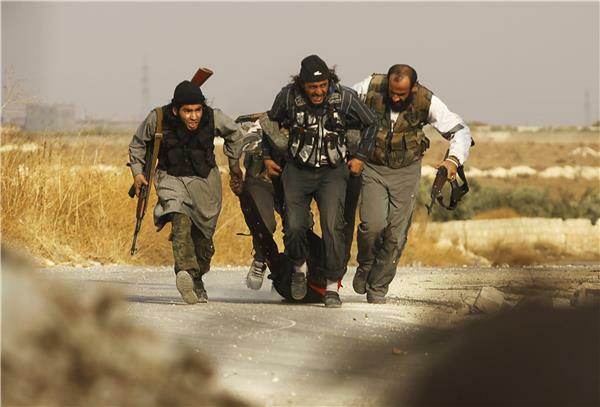 northern Aleppo province on Saturday, killed at least 53 people -- 33 rebels and 20 loyalists. According to activists, hundreds of residents from Damascus' southern suburbs flee form their areas to government-held areas through the al-Yarmouk Camp crossing, which is a crossing way between government and rebels areas. Most of these residents, shown in the video below, are form the southern towns of Yalda, al-Hajar al-Aswad, Speneh and al-Hijera where government forces launched a heavy assault. Government officials and rebels reached a deal to ease a weeks-long blockade on a rebel-held town near the Syrian capital on Sunday, allowing food to reach civilians there for the first time in weeks, activists said. The truce is the latest to be struck in recent months between President Bashar al-Assad's government and rebel groups throughout the war-ravaged country. It comes as the main Western-backed Syrian opposition group was holding the second of two days of meetings in Istanbul to decide whether to attend a proposed peace conference the US and Russia are trying to convene in Geneva by the end of this year. Human Rights Watch has called on the international community to condemn the Syrian government for using incendiary weapons. Incendiary weapons are classified as conventional and they have caused more deaths in Syria than chemical weapons, which the government is believed to have used on August 21. Al Jazeera's Zeina Khodr brings us this report from Beirut in neighbouring Lebanon. Syria's main opposition group said it will attend peace talks on the condition that President Bashar al-Assad transfers power and is excluded from any transition process. In a statement issued after meetings in Istanbul, the key National Coalition said it would attend peace talks in Geneva "on the basis of a full transfer of power." Speaking in Abu Dhabi, US Secretary of State John Kerry said any decision by the opposition to take part in talks in Geneva would be a "big step." to besieged areas," the statement said. And it demands "the release of detainees, especially women and children," without providing additional details. A final date for the peace conference is yet to be set. 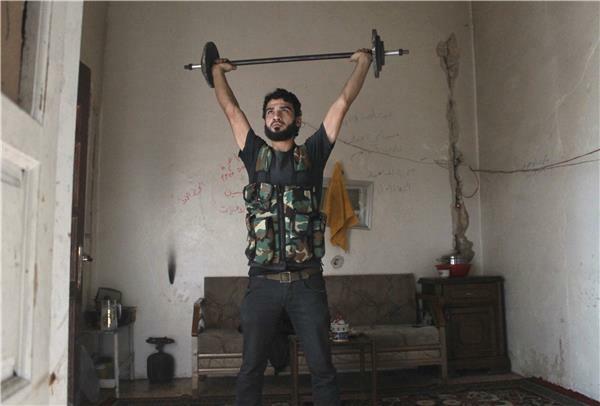 Reuters photographer Saad Abobrahim spent time with an unnamed fighter of the Free Syrian Army in Aleppo, documenting how the young man spent his time in between the battles. Armed men on a motorcycle have shot and killed a Lebanese Sunni Muslim religious leader who supported the Hezbollah group in the northern city of Tripoli, security sources say. Saadeddine Ghiyyeh, an official in the Islamic Action Front, was shot multiple times in his car as he was leaving home on Tuesday. A photo on the National News Agency's website appeared to show Ghiyyeh lying face down in his car with a head wound. Tripoli has seen on-off clashes between Sunni Muslim fighters who support a revolt against President Bashar al-Assad's Alawite sect, which is an offshoot of Shia Islam. Ghiyyeh was a Sunni, but supported Hezbollah, and was close to prominent pro-Assad figures in Tripoli. In September, he was wounded when his car exploded moments after he parked it.